Oishi Snacktacular 2015 | Badudets Everything Nice! 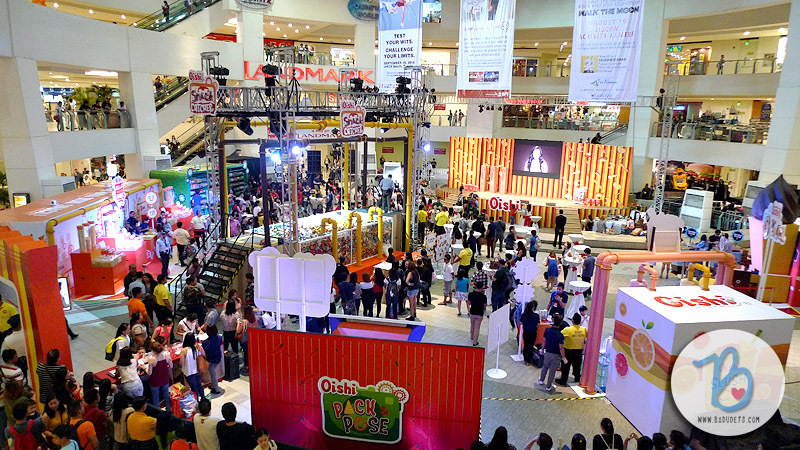 Here’s an ultimate O-some event that you can do this weekend, Oishi Snacktacular 2015 is happening right now at the Trinoma Activity Center! The #OishiSnacktacular event will be until August 9, 2015, be there at 4 pm to catch the Team O members including Elmo Magalona, Kathryn Bernardo, Daniel Padilla, Slater Young, Ramon Bautista and newest member Alex Gonzaga. Yesterday was the media event and I got to experience most of the attractions, too bad I wasn’t able tot try the Oishi Snack Catcher. Let me tell you how exciting and fun it was!